Courtesy of Southern Estate Agency, LLC. GORGEOUS FULLY RENOVATED 2 bed, 2 bath condo with captivating lake/golf views! Brand New Everything!! Custom white oak kitchen cabinetry with QUARTZ Countertops, designer subway tile backsplash + STAINLESS STEEL gallery appliances! Wide open concept perfect for entertaining! VERY spacious master bed/bath including dual sinks, separate shower w/ frameless glass, and walk-in closet! Brand new washer/dryer! Enjoy Florida sunsets in your 22’x9′ screened-in lanai! Unit also has a 5’x10′ storage room. Community pool just steps away! Walk to houses of worship.. NO MANDATORY MEMBERSHIP!! **THIS CONDO HAS IT ALL!! ** Indian Spring/Aspen Glen is a fabulous, gated 55+ community close to all great shops/restaurants in the area. Please, send me more information on this property: MLS# RX-10521898 – $228,000 – 6374 Aspen Glen Circle, Boynton Beach, FL 33437. 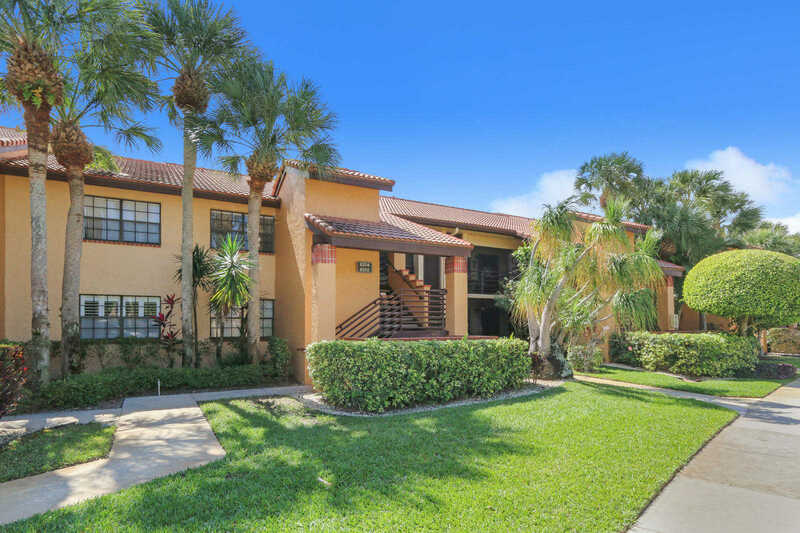 I would like to schedule a showing appointment for this property: MLS# RX-10521898 – $228,000 – 6374 Aspen Glen Circle, Boynton Beach, FL 33437.